The second in a series of intensive discussions to resolve a quantum payment for the multifaceted sugar cane byproduct known as bagasse was held this past Tuesday, March 25, at 2:00 p.m. at the BSI Staff Club in Orange Walk. Representatives of the two major stakeholders in the sugar industry, the Belize Sugar Cane Farmers Association (BSCFA) and the mill operators Belize Sugar Industries (BSI)/ American Sugar Refineries (ASR), convened once again to hopefully hammer out a new sugar cane purchasing agreement since the infamous 2-month impasse in which cañeros refused to deliver cane to the mills unless they were given a percentage of the profits that BSI/ASR hauls annually from the sale of bagasse. Today, vice chairman of the BSCFA’s Committee of Management, Alfredo Ortega, spoke to Amandala about the developments in the negotiations and explained that the sugar compromise is being worked out under a positive light. Ortega told us that the meeting went well and just as they expected. He stated that BSI provided their counterproposal to the cane farmers, in which the company presented a proposed formula they derived for apportioning payment to the farmers for the bagasse, in addition to the most practical and feasible sum of money they are able to disburse in exchange for bagasse. “BSI is currently offering to pay us 51 cents per ton using their formula”, Ortega informed, adding that the association then consulted their own technical personnel to formulate an analysis of BSI’s formula using what they have, which Ortega said were 2010 and 2011 financial reports from BSI since they were not provided with the 2012 and 2013 financial reports. After scrutinizing the formula, Ortega mentioned that the BSCFA maintained that the base payment for bagasse should be kept between $4 and $10, with the lowest possible payment established at $4.13. The association is presently preparing to send BSI a written analysis on their (BSI’s) presentation, and they are also gearing up for the next meeting on April 8 when both parties will continue their negotiations to eventually finalize the details. We also asked Ortega for an update on the sugar crop season, which he described as “going well” since the sugar mill at Tower Hill is performing up to standards. He remarked that farmers have so far been able to deliver approximately 40% to 45% of their product at a TCTS of 9.7, which he conceded as being possible due to the sacrifice of the cañeros who plan to deliver some 450,000 tons of cane by the end of this year’s crop season. Ortega also commented on the state of the sugar roads, and stated that although work has been completed on some roads, there are still some arteries that are in dire need of attention. He therefore called on the authorities from the Ministry of Works to at least do some remedial work on those affected roads so that farmers can have an easier time delivering their harvest to the factory. 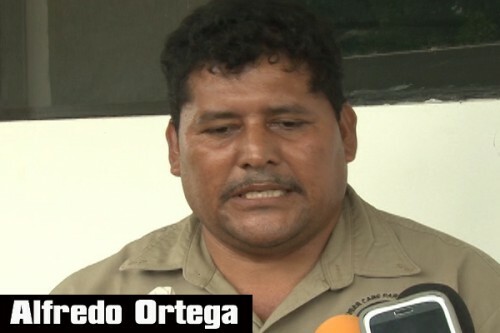 Nevertheless, Ortega is thankful to the cañeros for their work and dedication, and to the BSI employees who operate the mills, while at the same time he is hoping for God’s blessings in order to have a profitable and productive 2013/2014 sugar crop season.